Ascites is a gastroenterological term for an accumulation of fluid in the peritoneal cavity that exceeds 25 mL. 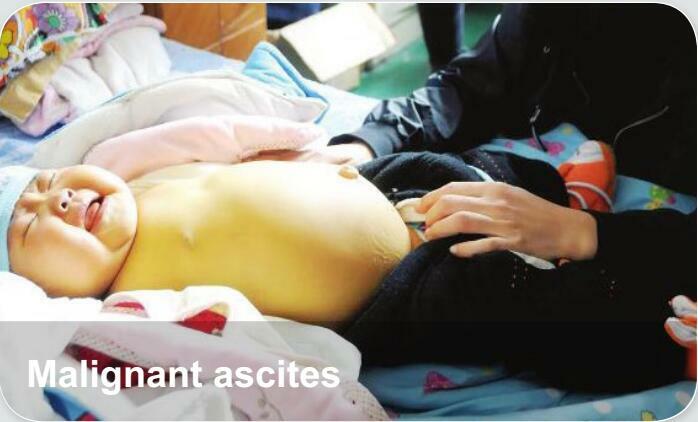 Malignant ascites refers to ascites caused by metastatic cancer. Patients with ascites generally will complain of progressive abdominal heaviness and pressure as well as shortness of breath due to mechanical impingement on the diaphragm.